Not to be confused with Gnosticism. Agnosticism is the view that the existence of God, of the divine or the supernatural is unknown or unknowable. Another definition provided is the view that "human reason is incapable of providing sufficient rational grounds to justify either the belief that God exists or the belief that God does not exist"
The English biologist Thomas Henry Huxley coined the word agnostic in 1869, and said "It simply means that a man shall not say he knows or believes that which he has no scientific grounds for professing to know or believe." Earlier thinkers, however, had written works that promoted agnostic points of view, such as Sanjaya Belatthaputta, a 5th-century BCE Indian philosopher who expressed agnosticism about any afterlife; and Protagoras, a 5th-century BCE Greek philosopher who expressed agnosticism about the existence of "the gods". Agnosticism is the doctrine or tenet of agnostics with regard to the existence of anything beyond and behind material phenomena or to knowledge of a First Cause or God, and is not a religion. Agnosticism is of the essence of science, whether ancient or modern. It simply means that a man shall not say he knows or believes that which he has no scientific grounds for professing to know or believe. Consequently, agnosticism puts aside not only the greater part of popular theology, but also the greater part of anti-theology. On the whole, the "bosh" of heterodoxy is more offensive to me than that of orthodoxy, because heterodoxy professes to be guided by reason and science, and orthodoxy does not. That which Agnostics deny and repudiate, as immoral, is the contrary doctrine, that there are propositions which men ought to believe, without logically satisfactory evidence; and that reprobation ought to attach to the profession of disbelief in such inadequately supported propositions. Agnosticism, in fact, is not a creed, but a method, the essence of which lies in the rigorous application of a single principle ... Positively the principle may be expressed: In matters of the intellect, follow your reason as far as it will take you, without regard to any other consideration. And negatively: In matters of the intellect do not pretend that conclusions are certain which are not demonstrated or demonstrable. Being a scientist, above all else, Huxley presented agnosticism as a form of demarcation. A hypothesis with no supporting, objective, testable evidence is not an objective, scientific claim. As such, there would be no way to test said hypotheses, leaving the results inconclusive. His agnosticism was not compatible with forming a belief as to the truth, or falsehood, of the claim at hand. Karl Popper would also describe himself as an agnostic. According to philosopher William L. Rowe, in this strict sense, agnosticism is the view that human reason is incapable of providing sufficient rational grounds to justify either the belief that God exists or the belief that God does not exist. George H. Smith, while admitting that the narrow definition of atheist was the common usage definition of that word, and admitting that the broad definition of agnostic was the common usage definition of that word, promoted broadening the definition of atheist and narrowing the definition of agnostic. Smith rejects agnosticism as a third alternative to theism and atheism and promotes terms such as agnostic atheism (the view of those who do not believe in the existence of any deity, but do not claim to know if a deity does or does not exist) and agnostic theism (the view of those who do not claim to know of the existence of any deity, but still believe in such an existence). Agnostic (from Ancient Greek ἀ- (a-), meaning 'without', and γνῶσις (gnōsis), meaning 'knowledge') was used by Thomas Henry Huxley in a speech at a meeting of the Metaphysical Society in 1869 to describe his philosophy, which rejects all claims of spiritual or mystical knowledge. Early Christian church leaders used the Greek word gnosis (knowledge) to describe "spiritual knowledge". Agnosticism is not to be confused with religious views opposing the ancient religious movement of Gnosticism in particular; Huxley used the term in a broader, more abstract sense. Huxley identified agnosticism not as a creed but rather as a method of skeptical, evidence-based inquiry. In recent years, scientific literature dealing with neuroscience and psychology has used the word to mean "not knowable". In technical and marketing literature, "agnostic" can also mean independence from some parameters—for example, "platform agnostic" or "hardware agnostic". Scottish Enlightenment philosopher David Hume contended that meaningful statements about the universe are always qualified by some degree of doubt. He asserted that the fallibility of human beings means that they cannot obtain absolute certainty except in trivial cases where a statement is true by definition (e.g. tautologies such as "all bachelors are unmarried" or "all triangles have three corners"). The view that the existence or nonexistence of any deities is currently unknown but is not necessarily unknowable; therefore, one will withhold judgment until evidence, if any, becomes available. A weak agnostic would say, "I don't know whether any deities exist or not, but maybe one day, if there is evidence, we can find something out." Aristotle, Anselm, Aquinas, and Descartes presented arguments attempting to rationally prove the existence of God. The skeptical empiricism of David Hume, the antinomies of Immanuel Kant, and the existential philosophy of Søren Kierkegaard convinced many later philosophers to abandon these attempts, regarding it impossible to construct any unassailable proof for the existence or non-existence of God. Hume was Huxley's favourite philosopher, calling him "the Prince of Agnostics". Diderot wrote to his mistress, telling of a visit by Hume to the Baron D'Holbach, and describing how a word for the position that Huxley would later describe as agnosticism didn't seem to exist, or at least wasn't common knowledge, at the time. The first time that M. Hume found himself at the table of the Baron, he was seated beside him. I don't know for what purpose the English philosopher took it into his head to remark to the Baron that he did not believe in atheists, that he had never seen any. The Baron said to him: "Count how many we are here." We are eighteen. The Baron added: "It isn't too bad a showing to be able to point out to you fifteen at once: the three others haven't made up their minds." 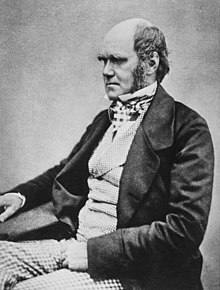 Raised in a religious environment, Charles Darwin (1809-1882) studied to be an Anglican clergyman. While eventually doubting parts of his faith, Darwin continued to help in church affairs, even while avoiding church attendance. Darwin stated that it would be "absurd to doubt that a man might be an ardent theist and an evolutionist". Although reticent about his religious views, in 1879 he wrote that "I have never been an atheist in the sense of denying the existence of a God. – I think that generally ... an agnostic would be the most correct description of my state of mind." So I took thought, and invented what I conceived to be the appropriate title of "agnostic". It came into my head as suggestively antithetic to the "gnostic" of Church history, who professed to know so much about the very things of which I was ignorant. ... To my great satisfaction the term took. Therefore, although it be, as I believe, demonstrable that we have no real knowledge of the authorship, or of the date of composition of the Gospels, as they have come down to us, and that nothing better than more or less probable guesses can be arrived at on that subject. William Stewart Ross (1844-1906) wrote under the name of Saladin. 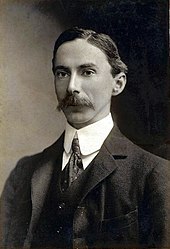 He was associated with Victorian Freethinkers and the organization the British Secular Union. He edited the Secular Review from 1882; it was renamed Agnostic Journal and Eclectic Review and closed in 1907. Ross championed agnosticism in opposition to the atheism of Charles Bradlaugh as an open-ended spiritual exploration. In Why I am an Agnostic (c. 1889) he claims that agnosticism is "the very reverse of atheism". Bertrand Russell (1872-1970) declared Why I Am Not a Christian in 1927, a classic statement of agnosticism. He calls upon his readers to "stand on their own two feet and look fair and square at the world with a fearless attitude and a free intelligence". As a philosopher, if I were speaking to a purely philosophic audience I should say that I ought to describe myself as an Agnostic, because I do not think that there is a conclusive argument by which one can prove that there is not a God. On the other hand, if I am to convey the right impression to the ordinary man in the street I think I ought to say that I am an Atheist, because when I say that I cannot prove that there is not a God, I ought to add equally that I cannot prove that there are not the Homeric gods. No. An atheist, like a Christian, holds that we can know whether or not there is a God. The Christian holds that we can know there is a God; the atheist, that we can know there is not. The Agnostic suspends judgment, saying that there are not sufficient grounds either for affirmation or for denial. ... many professing agnostics are nearer belief in the true God than are many conventional church-goers who believe in a body that does not exist whom they miscall God. Robert G. Ingersoll (1833-1899), an Illinois lawyer and politician who evolved into a well-known and sought-after orator in 19th-century America, has been referred to as the "Great Agnostic". The Agnostic is an Atheist. The Atheist is an Agnostic. The Agnostic says, ‘I do not know, but I do not believe there is any God.’ The Atheist says the same. Canon Bernard Iddings Bell (1886-1958), a popular cultural commentator, Episcopal priest, and author, lauded the necessity of agnosticism in Beyond Agnosticism: A Book for Tired Mechanists, calling it the foundation of "all intelligent Christianity." Agnosticism was a temporary mindset in which one rigorously questioned the truths of the age, including the way in which one believed God. His view of Robert Ingersoll and Thomas Paine was that they were not denouncing true Christianity but rather "a gross perversion of it." Part of the misunderstanding stemmed from ignorance of the concepts of God and religion. Historically, a god was any real, perceivable force that ruled the lives of humans and inspired admiration, love, fear, and homage; religion was the practice of it. Ancient peoples worshiped gods with real counterparts, such as Mammon (money and material things), Nabu (rationality), or Ba'al (violent weather); Bell argued that modern peoples were still paying homage—with their lives and their children's lives—to these old gods of wealth, physical appetites, and self-deification. Thus, if one attempted to be agnostic passively, he or she would incidentally join the worship of the world's gods. In Unfashionable Convictions (1931), he criticized the Enlightenment's complete faith in human sensory perception, augmented by scientific instruments, as a means of accurately grasping Reality. Firstly, it was fairly new, an innovation of the Western World, which Aristotle invented and Thomas Aquinas revived among the scientific community. Secondly, the divorce of "pure" science from human experience, as manifested in American Industrialization, had completely altered the environment, often disfiguring it, so as to suggest its insufficiency to human needs. Thirdly, because scientists were constantly producing more data—to the point where no single human could grasp it all at once—it followed that human intelligence was incapable of attaining a complete understanding of universe; therefore, to admit the mysteries of the unobserved universe was to be actually scientific. Bell believed that there were two other ways that humans could perceive and interact with the world. Artistic experience was how one expressed meaning through speaking, writing, painting, gesturing—any sort of communication which shared insight into a human's inner reality. Mystical experience was how one could "read" people and harmonize with them, being what we commonly call love. In summary, man was a scientist, artist, and lover. Without exercising all three, a person became "lopsided." Truth cannot be discovered by reasoning on the evidence of scientific data alone. Modern peoples' dissatisfaction with life is the result of depending on such incomplete data. Our ability to reason is not a way to discover Truth but rather a way to organize our knowledge and experiences somewhat sensibly. Without a full, human perception of the world, one's reason tends to lead them in the wrong direction. Beyond what can be measured with scientific tools, there are other types of perception, such as one's ability know another human through loving. One's loves cannot be dissected and logged in a scientific journal, but we know them far better than we know the surface of the sun. They show us an undefinable reality that is nevertheless intimate and personal, and they reveal qualities lovelier and truer than detached facts can provide. To be religious, in the Christian sense, is to live for the Whole of Reality (God) rather than for a small part (gods). Only by treating this Whole of Reality as a person—good and true and perfect—rather than an impersonal force, can we come closer to the Truth. An ultimate Person can be loved, but a cosmic force cannot. A scientist can only discover peripheral truths, but a lover is able to get at the Truth. There are many reasons to believe in God but they are not sufficient for an agnostic to become a theist. It is not enough to believe in an ancient holy book, even though when it is accurately analyzed without bias, it proves to be more trustworthy and admirable than what we are taught in school. Neither is it enough to realize how probable it is that a personal God would have to show human beings how to live, considering they have so much trouble on their own. Nor is it enough to believe for the reason that, throughout history, millions of people have arrived at this Wholeness of Reality only through religious experience. The aforementioned reasons may warm one toward religion, but they fall short of convincing. However, if one presupposes that God is in fact a knowable, loving person, as an experiment, and then lives according that religion, he or she will suddenly come face to face with experiences previously unknown. One's life becomes full, meaningful, and fearless in the face of death. It does not defy reason but exceeds it. Because God has been experienced through love, the orders of prayer, fellowship, and devotion now matter. They create order within one's life, continually renewing the "missing piece" that had previously felt lost. They empower one to be compassionate and humble, not small-minded or arrogant. No truth should be denied outright, but all should be questioned. Science reveals an ever-growing vision of our universe that should not be discounted due to bias toward older understandings. Reason is to be trusted and cultivated. To believe in God is not to forego reason or to deny scientific facts, but to step into the unknown and discover the fullness of life. Demographic research services normally do not differentiate between various types of non-religious respondents, so agnostics are often classified in the same category as atheists or other non-religious people. A 2010 survey published in Encyclopædia Britannica found that the non-religious people or the agnostics made up about 9.6% of the world's population. A November–December 2006 poll published in the Financial Times gives rates for the United States and five European countries. The rates of agnosticism in the United States were at 14%, while the rates of agnosticism in the European countries surveyed were considerably higher: Italy (20%), Spain (30%), Great Britain (35%), Germany (25%), and France (32%). A study conducted by the Pew Research Center found that about 16% of the world's people, the third largest group after Christianity and Islam, have no religious affiliation. According to a 2012 report by the Pew Research Center, agnostics made up 3.3% of the US adult population. In the U.S. Religious Landscape Survey, conducted by the Pew Research Center, 55% of agnostic respondents expressed "a belief in God or a universal spirit", whereas 41% stated that they thought that they felt a tension "being non-religious in a society where most people are religious". According to the 2011 Australian Bureau of Statistics, 22% of Australians have "no religion", a category that includes agnostics. Between 64% and 65% of Japanese and up to 81% of Vietnamese are atheists, agnostics, or do not believe in a god. An official European Union survey reported that 3% of the EU population is unsure about their belief in a god or spirit. Agnosticism is criticized from a variety of standpoints. Some religious thinkers see agnosticism as limiting the mind's capacity to know reality to materialism. Some atheists criticize the use of the term agnosticism as functionally indistinguishable from atheism; this results in frequent criticisms of those who adopt the term as avoiding the atheist label. Theistic critics claim that agnosticism is impossible in practice, since a person can live only either as if God did not exist (etsi deus non-daretur), or as if God did exist (etsi deus daretur). Religious scholars such as Laurence B. Brown criticize the misuse of the word agnosticism, claiming that it has become one of the most misapplied terms in metaphysics. Brown raises the question, "You claim that nothing can be known with certainty ... how, then, can you be so sure?" According to Pope Benedict XVI, strong agnosticism in particular contradicts itself in affirming the power of reason to know scientific truth. He blames the exclusion of reasoning from religion and ethics for dangerous pathologies such as crimes against humanity and ecological disasters. "Agnosticism", said Ratzinger, "is always the fruit of a refusal of that knowledge which is in fact offered to man ... The knowledge of God has always existed". He asserted that agnosticism is a choice of comfort, pride, dominion, and utility over truth, and is opposed by the following attitudes: the keenest self-criticism, humble listening to the whole of existence, the persistent patience and self-correction of the scientific method, a readiness to be purified by the truth. The Catholic Church sees merit in examining what it calls "partial agnosticism", specifically those systems that "do not aim at constructing a complete philosophy of the unknowable, but at excluding special kinds of truth, notably religious, from the domain of knowledge". However, the Church is historically opposed to a full denial of the capacity of human reason to know God. The Council of the Vatican declares, "God, the beginning and end of all, can, by the natural light of human reason, be known with certainty from the works of creation". Blaise Pascal argued that even if there were truly no evidence for God, agnostics should consider what is now known as Pascal's Wager: the infinite expected value of acknowledging God is always greater than the finite expected value of not acknowledging his existence, and thus it is a safer "bet" to choose God. Peter Kreeft and Ronald Tacelli cited 20 arguments for God's existence, asserting that any demand for evidence testable in a laboratory is in effect asking God, the supreme being, to become man's servant. According to Richard Dawkins, a distinction between agnosticism and atheism is unwieldy and depends on how close to zero a person is willing to rate the probability of existence for any given god-like entity. About himself, Dawkins continues, "I am agnostic only to the extent that I am agnostic about fairies at the bottom of the garden." Dawkins also identifies two categories of agnostics; "Temporary Agnostics in Practice" (TAPs), and "Permanent Agnostics in Principle" (PAPs). He states that "agnosticism about the existence of God belongs firmly in the temporary or TAP category. Either he exists or he doesn't. It is a scientific question; one day we may know the answer, and meanwhile we can say something pretty strong about the probability. ", and considers PAP a "deeply inescapable kind of fence-sitting". A related concept is ignosticism, the view that a coherent definition of a deity must be put forward before the question of the existence of a deity can be meaningfully discussed. If the chosen definition is not coherent, the ignostic holds the noncognitivist view that the existence of a deity is meaningless or empirically untestable. A. J. Ayer, Theodore Drange, and other philosophers see both atheism and agnosticism as incompatible with ignosticism on the grounds that atheism and agnosticism accept "a deity exists" as a meaningful proposition that can be argued for or against. ^ a b c Rowe, William L. (1998). "Agnosticism". In Edward Craig. Routledge Encyclopedia of Philosophy. Taylor & Francis. ISBN 978-0-415-07310-3. In the popular sense, an agnostic is someone who neither believes nor disbelieves in God, whereas an atheist disbelieves in God. In the strict sense, however, agnosticism is the view that human reason is incapable of providing sufficient rational grounds to justify either the belief that God exists or the belief that God does not exist. In so far as one holds that our beliefs are rational only if they are sufficiently supported by human reason, the person who accepts the philosophical position of agnosticism will hold that neither the belief that God exists nor the belief that God does not exist is rational. ^ "Samaññaphala Sutta: The Fruits of the Contemplative Life". a part of the Digha Nikaya translated in 1997 by Thanissaro Bhikkhu. Archived from the original on February 9, 2014. If you ask me if there exists another world (after death), ... I don't think so. I don't think in that way. I don't think otherwise. I don't think not. I don't think not not. ^ Lloyd Ridgeon (March 13, 2003). Major World Religions: From Their Origins To The Present. Taylor & Francis. pp. 63–. ISBN 978-0-203-42313-4. ^ The Internet Encyclopedia of Philosophy – Protagoras (c. 490 – c. 420 BCE). Archived from the original on February 2, 2014. Retrieved July 22, 2013. While the pious might wish to look to the gods to provide absolute moral guidance in the relativistic universe of the Sophistic Enlightenment, that certainty also was cast into doubt by philosophic and sophistic thinkers, who pointed out the absurdity and immorality of the conventional epic accounts of the gods. Protagoras' prose treatise about the gods began "Concerning the gods, I have no means of knowing whether they exist or not or of what sort they may be. Many things prevent knowledge including the obscurity of the subject and the brevity of human life." ^ Patri, Umesh and Prativa Devi (February 1990). "Progress of Atheism in India: A Historical Perspective". Atheist Centre 1940–1990 Golden Jubilee. Archived from the original on June 29, 2014. Retrieved June 29, 2014. ^ Trevor Treharne (2012). How to Prove God Does Not Exist: The Complete Guide to Validating Atheism. Universal-Publishers. pp. 34 ff. ISBN 978-1-61233-118-8. ^ Helmut Schwab (December 10, 2012). Essential Writings: A Journey Through Time: A Modern "De Rerum Natura". iUniverse. pp. 77 ff. ISBN 978-1-4759-6026-6. ^ Richard Dawkins (January 16, 2008). The God Delusion. Houghton Mifflin Harcourt. pp. 72–. ISBN 0-547-34866-5. ^ Smith, George H (1979). Atheism: The Case Against God. pp. 10–11. ISBN 978-0-87975-124-1. Properly considered, agnosticism is not a third alternative to theism and atheism because it is concerned with a different aspect of religious belief. Theism and atheism refer to the presence or absence of belief in a god; agnosticism refers to the impossibility of knowledge with regard to a god or supernatural being. The term agnostic does not, in itself, indicate whether or not one believes in a god. Agnosticism can be either theistic or atheistic. ^ Barker, Dan (2008). Godless: How an Evangelical Preacher Became One of America's Leading Atheists. New York: Ulysses Press. p. 96. ISBN 978-1-56975-677-5. OL 24313839M. People are invariably surprised to hear me say I am both an atheist and an agnostic, as if this somehow weakens my certainty. I usually reply with a question like, "Well, are you a Republican or an American?" The two words serve different concepts and are not mutually exclusive. Agnosticism addresses knowledge; atheism addresses belief. The agnostic says, "I don't have a knowledge that God exists." The atheist says, "I don't have a belief that God exists." You can say both things at the same time. Some agnostics are atheistic and some are theistic. ^ Dixon, Thomas (2008). Science and Religion: A Very Short Introduction. Oxford: Oxford University Press. p. 63. ISBN 978-0-19-929551-7. ^ a b Antony, Flew. "Agnosticism". Encyclopædia Britannica. Retrieved December 15, 2011. ^ "ag·nos·tic". The American Heritage Dictionary of the English Language. Houghton Mifflin Harcourt. 2011. Retrieved November 15, 2013. ^ Huxley, Henrietta A. (2004). Aphorisms and Reflections (reprint ed.). Kessinger Publishing. pp. 41–42. ISBN 978-1-4191-0730-6. ^ Levy, Sophie Woodrooffe and Dan (September 9, 2012). "What Does Platform Agnostic Mean?". Sparksheet. Archived from the original on June 29, 2014. Retrieved November 15, 2013. ^ Yevgeniy Sverdlik (July 31, 2013). "EMC AND NETAPP – A SOFTWARE-DEFINED STORAGE BATTLE: Interoperability no longer matter of choice for big storage vendors". Datacenter Dynamics. Archived from the original on June 29, 2014. Retrieved November 15, 2013. ^ a b Oppy, Graham (September 4, 2006). Arguing about Gods. Cambridge University Press. pp. 15–. ISBN 978-1-139-45889-4. ^ a b Michael H. Barnes (2003). In The Presence of Mystery: An Introduction To The Story Of Human Religiousness. Twenty-Third Publications. pp. 3–. ISBN 978-1-58595-259-5. ^ a b Robin Le Poidevin (October 28, 2010). Agnosticism: A Very Short Introduction. Oxford University Press. pp. 32–. ISBN 978-0-19-161454-5. ^ John Tyrrell (1996). "Commentary on the Articles of Faith". Archived from the original on 2007-08-07. To believe in the existence of a god is an act of faith. To believe in the nonexistence of a god is likewise an act of faith. There is no verifiable evidence that there is a Supreme Being nor is there verifiable evidence there is not a Supreme Being. Faith is not knowledge. We can only state with assurance that we do not know. ^ Austin Cline. "What is Apathetic Agnosticism?". ^ Kenneth, Kramer (1986). World scriptures: an introduction to comparative religions. p. 34. ISBN 978-0-8091-2781-8. ^ Subodh Varma (May 6, 2011). "The gods came afterwards". The Times of India. Archived from the original on June 29, 2014. Retrieved June 9, 2011. ^ Christian, David (September 1, 2011). Maps of Time: An Introduction to Big History. University of California Press. pp. 18–. ISBN 978-0-520-95067-2. ^ "Aristotle on the existence of God". Logicmuseum.com. Archived from the original on June 29, 2014. Retrieved February 9, 2014. ^ "Internet History Sourcebooks Project". Fordham.edu. Archived from the original on June 29, 2014. Retrieved February 9, 2014. ^ Williams, Thomas (2013). "Saint Anselm". Stanford Encyclopedia of Philosophy (Spring 2013 ed.). Archived from the original on June 29, 2014. Retrieved June 29, 2014. ^ Owens, Joseph (1980). Saint Thomas Aquinas on the Existence of God: The Collected Papers of Joseph Owens. SUNY Press. ISBN 978-0-87395-401-3. ^ "Descartes' Proof for the Existence of God". Oregonstate.edu. Archived from the original on June 29, 2014. Retrieved February 9, 2014. ^ Rowe, William L. (1998). "Agnosticism". In Edward Craig. Routledge Encyclopedia of Philosophy. Taylor & Francis. ISBN 978-0-415-07310-3. Archived from the original on July 22, 2011. Retrieved April 17, 2012. ^ a b Letter 12041 – Darwin, C. R. to Fordyce, John, May 7, 1879. Archived from the original on June 29, 2014. ^ "Darwin Correspondence Project – Belief: historical essay". Archived from the original on February 25, 2009. Retrieved November 25, 2008. ^ Thomas Henry Huxley (1997). The Major Prose of Thomas Henry Huxley. University of Georgia Press. pp. 357–. ISBN 978-0-8203-1864-6. ^ Leonard Huxley (February 7, 2012). Thomas Henry Huxley A Character Sketch. tredition. pp. 41–. ISBN 978-3-8472-0297-4. ^ Leonard Huxley; Thomas Henry Huxley (December 22, 2011). Life and Letters of Thomas Henry Huxley. Cambridge University Press. pp. 347–. ISBN 978-1-108-04045-7. ^ Huxley, Thomas. Collected Essays, Vol. V: Science and Christian Tradition. Macmillan and Co 1893. pp. 237–239. ISBN 1-85506-922-9. ^ William Stewart Ross; Joseph Taylor (1889). Why I Am an Agnostic: Being a Manual of Agnosticism. W. Stewart & Company. ^ a b "Why I Am Not A Christian, by Bertrand Russell". Users.drew.edu. March 6, 1927. Archived from the original on February 9, 2014. Retrieved February 9, 2014. ^ Bertrand Russell (1992). Why I Am Not a Christian: And Other Essays on Religion and Related Subjects. Routledge. ISBN 978-0-415-07918-1. ^ a b c Donald E. Smith (February 2012). The Hopeful Agnostic: What I Believe – I Guess. AuthorHouse. pp. 15–. ISBN 978-1-4685-4459-6. ^ Russell, Bertrand. Collected Papers, Vol 10. p. 255. ^ Ken Ewell (August 27, 2006). Traveling with Philosophes. iUniverse. pp. 348–. ISBN 978-0-595-85361-8. ^ Bertrand Russell (1997). Last Philosophical Testament: 1943–68. Psychology Press. pp. 91–. ISBN 978-0-415-09409-2. ^ Bertrand Russell (March 2, 2009). The Basic Writings of Bertrand Russell. Routledge. pp. 557–. ISBN 978-1-134-02867-2. ^ Victor Robert Farrell. Wake Up! – Dynamite for the Daytime. Lulu.com. pp. 367–. ISBN 978-0-9538864-2-5. ^ "'What Is an agnostic?' by Bertrand Russell". Scepsis.net. Archived from the original on February 2, 2014. Retrieved February 2, 2014. ^ a b Weatherhead, Leslie D. (September 1990). The Christian Agnostic. Abingdon Press. ISBN 978-0-687-06980-4. ^ Brandt, Eric T., and Timothy Larsen (2011). "The Old Atheism Revisited: Robert G. Ingersoll and the Bible". Journal of the Historical Society. 11 (2): 211–238. doi:10.1111/j.1540-5923.2011.00330.x. ^ a b "Why I Am Agnostic". Infidels.org. Retrieved February 2, 2014. ^ Jacoby, Susan (2013). The Great Agnostic. Yale University Press. p. 17. ISBN 978-0-300-13725-5. ^ a b "The Good News, by Bernard Iddings Bell (1921)". anglicanhistory.org. Retrieved 2019-02-21. ^ Brauer, Kristen D. (2007). The religious roots of postmodernism in American culture: an analysis of the postmodern theory of Bernard Iddings Bell and its continued relevance to contemporary postmodern theory and literary criticism. Glasgow, Scotland: University of Glasgow. p. 32. ^ Bell, Bernard Iddings (1931). Unfashionable Convictions. New York and London: Harper & Brothers. p. 20. ^ Bell, Bernard Iddings (1929). Beyond Agnosticism. New York and London: Harper & Brothers. pp. 12–19. ^ Bell, Bernard Iddings (1931). Unfashionable Convictions. New York and London: Harper & Brothers. pp. 4–5. ^ Bell, Bernard Iddings (1931). Unfashionable Convictions. New York and London: Harper & Brothers Publishing. pp. 25–28. ^ "Social values, Science and Technology" (PDF). Archived from the original (PDF) on April 30, 2011. Retrieved April 9, 2011. ^ "Major Religions Ranked by Size". Adherents.com. Archived from the original on August 11, 2010. Retrieved August 14, 2010. ^ "Religion: Year in Review 2010: Worldwide Adherents of All Religions". Encyclopædia Britannica. Encyclopædia Britannica Inc. Archived from the original on June 29, 2014. Retrieved November 21, 2013. ^ "Religious Views and Beliefs Vary Greatly by Country, According to the Latest Financial Times/Harris Poll". Financial Times/Harris Interactive. December 20, 2006. Archived from the original on July 23, 2013. Retrieved April 9, 2011. ^ Goodstein, Laurie (December 18, 2012). "Study Finds One in 6 Follows No Religion". The New York Times. Archived from the original on June 29, 2014. ^ Cary Funk, Greg Smith. ""Nones" on the Rise: One-in-Five Adults Have No Religious Affiliation" (PDF). Pew Research Center. pp. 9, 42. Archived from the original (PDF) on June 29, 2014. Retrieved November 21, 2013. ^ "Summary of Key Findings" (PDF). Pew Research Center. 2011. Archived (PDF) from the original on June 29, 2014. Retrieved December 28, 2011. Nearly all adults (92%) say they believe in God or a universal spirit, including seven-in-ten of the unaffiliated. Indeed, one-in-five people who identify themselves as atheist (21%) and a majority of those who identify themselves as agnostic (55%) express a belief in God or a universal spirit. ^ "Summary of Key Findings" (PDF). Pew Research Center. 2011. Archived (PDF) from the original on June 29, 2014. Retrieved December 28, 2011. Interestingly, a substantial number of adults who are not affiliated with a religion also sense that there is a conflict between religion and modern society – except for them the conflict involves being non-religious in a society where most people are religious. For instance, more than four-inten atheists and agnostics (44% and 41%, respectively) believe that such a tension exists. ^ "Cultural Diversity in Australia". Australian Bureau of Statistics. 2012. Archived from the original on June 29, 2014. Retrieved June 21, 2012. ^ Zuckerman, Phil (2007). Martin, Michael T, ed. The Cambridge Companion to Atheism. Cambridge, England: Cambridge University Press. p. 56. ISBN 978-0-521-60367-6. OL 22379448M. Retrieved April 9, 2011. ^ "Average intelligence predicts atheism rates across 137 nations" (PDF). January 3, 2008. Archived (PDF) from the original on June 29, 2014. Retrieved October 21, 2012. ^ Social values, Science and Technology (PDF). Directorate General Research, European Union. 2005. pp. 7–11. Archived from the original (PDF) on April 30, 2011. Retrieved April 9, 2011. ^ Sandro Magister (2007). "Habermas writes to Ratzinger and Ruini responds". Archived from the original on June 29, 2014. Retrieved May 25, 2008. ^ "Why can't I live my life as an agnostic?". 2007. Archived from the original on May 16, 2008. Retrieved May 25, 2008. ^ Ratzinger, Joseph (2006). Christianity and the Crisis of Cultures. Ignatius Press. ISBN 978-1-58617-142-1. ^ Laurence B. Brown (2007). "Religion of Islam: Agnosticism". Archived from the original on June 29, 2014. Retrieved May 25, 2008. ^ Laurence B. Brown (February 2008). MisGod'ed: A Roadmap of Guidance and Misguidance in the Abrahamic Religions. CreateSpace Independent Publishing Platform. ISBN 978-1-4196-8148-6. ^ a b c Ratzinger, Joseph (2005). The Yes of Jesus Christ: Spiritual Exercises in Faith, Hope, and Love. Cross Roads Publishing. ^ a b c Ratzinger, Joseph (2004). Truth and Tolerance: Christian Belief And World Religions. Ignatius Press. ^ Benedict XVI (September 12, 2006). "Papal Address at University of Regensburg". zenit.org. Archived from the original on June 29, 2014. Retrieved June 29, 2014. ^ a b Agnosticism. Catholic Encyclopedia. Archived from the original on June 29, 2014. ^ "Argument from Pascal's Wager". 2007. Archived from the original on June 5, 2008. Retrieved May 25, 2008. ^ Twenty Arguments for the Existence of God, from the Handbook of Christian Apologetics by Peter Kreeft and Fr. Ronald Tacelli, SJ, Intervarsity Press, 1994. Archived from the original on June 29, 2014. ^ Ratzinger, Joseph (2007). Jesus of Nazareth. Random House. ^ "The Argument From Non-Cognitivism". Archived from the original on February 2, 2014. Retrieved October 1, 2010. ^ Ayer, Language, 115: "There can be no way of proving that the existence of a God ... is even probable. ... For if the existence of such a god were probable, then the proposition that he existed would be an empirical hypothesis. And in that case it would be possible to deduce from it, and other empirical hypotheses, certain experimental propositions which were not deducible from those other hypotheses alone. But in fact this is not possible." Cockshut, A.O.J. The Unbelievers, English Thought, 1840-1890 (1966). Dawkins, Richard. "The poverty of agnosticism", in The God Delusion, Black Swan, 2007 (ISBN 978-0-552-77429-1). Huxley, Thomas H. (February 4, 2013). Man's Place in Nature. Courier Dover Publications. pp. 1–. ISBN 978-0-486-15134-2. Hume, David (1779). Dialogues Concerning Natural Religion. pp. 1–. Kant, Immanuel (May 28, 2013). The Critique of Pure Reason. Loki's Publishing. ISBN 978-0-615-82576-2. Kierkegaard, Sören. Philosophical Fragments. Religion-online.org. ISBN 978-0-691-02036-5. Archived from the original on February 9, 2014. Retrieved February 9, 2014. Lightman, Bernard. The Origins of Agnosticism (1987). Royle, Edward. Radicals, Secularists, and Republicans: Popular Freethought in Britain, 1866-1915 (Manchester UP, 1980). Smith, George H. Atheism – The Case Against God (PDF). ISBN 0-87975-124-X. Archived from the original (PDF) on February 9, 2014. Retrieved February 9, 2014. Look up agnosticism in Wiktionary, the free dictionary. Zalta, Edward N. (ed.). "Atheism and Agnosticism". Stanford Encyclopedia of Philosophy. Nielsen, Kai (1973) . "Agnosticism". Dictionary of the History of Ideas. University of Virginia Library. This page was last edited on 15 April 2019, at 21:23 (UTC).